WASHINGTON – A last-ditch effort to get an immigration reform bill through the House was soundly defeated Wednesday, with almost half of the Republicans joining all Democrats to reject the Border Security and Immigration Reform Act on a 301-121 vote. Rep. Martha McSally, R-Tucson, was the only Arizona lawmaker to vote for the bill, with the state’s four other Republicans joining its four Democrats in opposition. “Passage will show that we want strong borders & security while the dems want open borders = crime. Win!” he tweeted. The bill was the latest attempt by GOP leaders to craft legislation that included the “four pillars” the White House demanded: protection for Dreamers, increased border security, an end to the visa diversity lottery and a reduction in family, or “chain,” migration. But while it may have satisfied the president, it was not so popular in the House. Wednesday’s defeat was even worse than the 38-vote margin on a more conservative immigration bill that failed Thursday. The latest so-called compromise bill upset conservatives by allowing protection for recipients of Deferred Action for Childhood Arrivals protection and angered Democrats with its planned border wall funding and reductions in legal immigration levels. Rep. Paul Gosar, R-Prescott, said he couldn’t stomach protections for DACA recipients that were included in both GOP-backed bills. The Democrats – all of whom voted against both bills – said that proposed cuts to legal immigration and the inclusion of $25 billion for Trump’s border wall in Wednesday’s bill was too much to bear. Rep. Kyrsten Sinema, D-Phoenix, also took issue with the bill’s failure to address the plight facing migrant children separated from their parents. House Speaker Paul Ryan said he intends to look at a narrower measure aimed at stopping the policy of family separation. 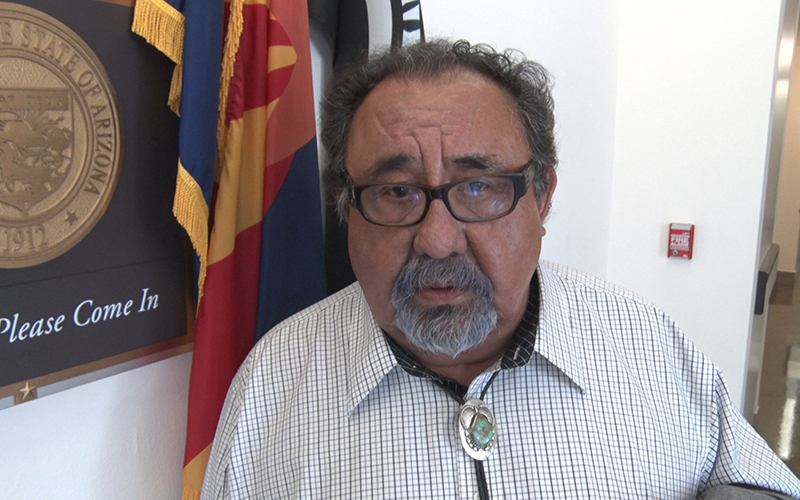 But Rep. Raul Grijalva, D-Tucson, said that any path forward on immigration needs bipartisan consensus, not the one-sided negotiating tactics he accused House leaders of engaging in. He blamed Ryan for failing to deliver a more well-rounded approach, pointing to at least one bipartisan bill that was not allowed to come up for a vote. “He (Ryan) has been terribly cowardly about going against the president or going against some of the more extremists in his caucus and allowing the rest of the members to have the opportunity to take a vote,” said Grijalva.